In 2000, Rabbi Yaakov Gloiberman saw a growing need in Lod and the Shfela region. He founded the Yad B’Yad organization to provide essential services to thousands of needy families, Holocaust survivors, immigrants from the former Soviet Union, Ethiopians, widows, orphans, single mothers and more. Throughout the year, our community members are received at Yad B’Yad with a warm and welcoming smile, open hearts, and an enthusiasm to assist those in distress, regardless of race, gender, ethnicity or religion. The Yad B’Yad complex is humming daily with activities, filled with love and care for each and every person who walks through our doors. There, we distribute food, blankets, winter clothing, hot meals, second-hand furniture and more. During the holiday seasons, Yad B’Yad’s activity expands exponentially when thousands of diverse volunteers come to pack holiday food packages for their fellow Israelis. Yad B’Yad is building an essential community of Israelis who care for one another, despite our differences. Our on-campus facilities are high quality and our programs giving children in need school supplies, elderly warm meals, and brides a top-notch bridal salon, dignify and empower our community members. 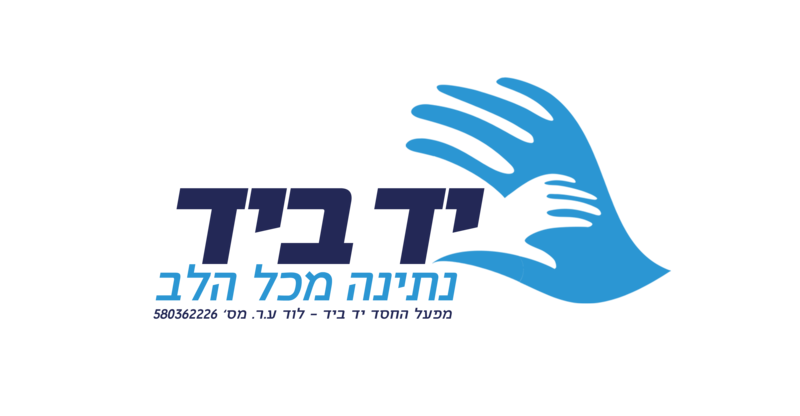 Yad B’Yad stands at the front lines of providing services to those in need in an insufficient welfare system. Our community members are people who face daily hardships and abject poverty. We help lift up their spirits and give them the services they need to live with dignity. Proper operation of the Association confers upon it every year certificates of good standing and government support. Approval of eligibility for refund of tax on donations, click here. approval of a registered association, click here. certificate of good standing, click here. Tax-Deductible donating to Israel, click here.